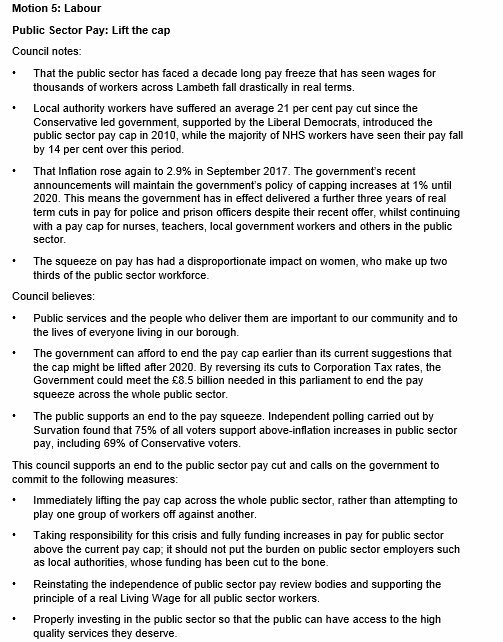 Lambeth Labour councillors have passed a motion in support of the local govenment pay claim put in by UNISON and other unions. It is an excellent motion that puts the demand fair and square on the government to lift the pay cap and give workers a decent pay increase. 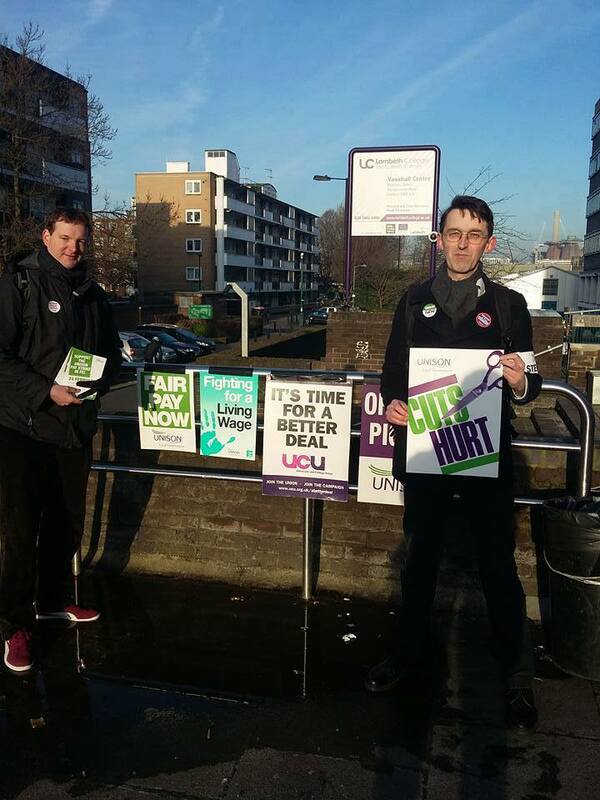 We have lost around 14% of our pay since 2010 and our members are fed up. Job cuts, decimated services, constant reorganisations and low pay to boot – we have our work cut out to give local government the boost it needs to get back on its feet. 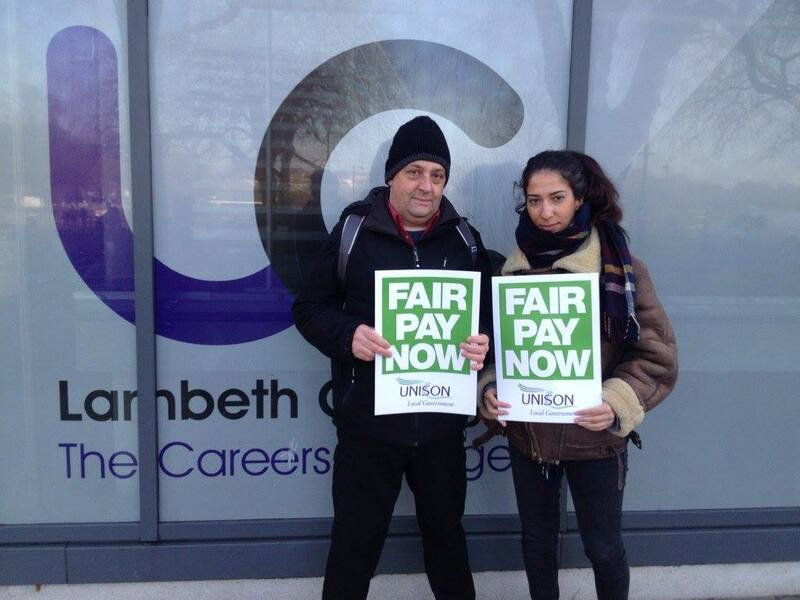 On 24 February UNISON members at Lambeth college took strike action for a pay increase alongside UCU members. Staff in FE haven’t got a pay increase since 2009, and with the cost of living increasing they have actually lost around 17% of their pay. This was a national strike to try and force the employers to take staff wages seriously. The FE sector has suffered huge cuts since 2010, as the Tories have gutted public spending. They use the excuse of paying off the deficit, but as we know, the deficit has grown since 2010. All the while libraries are closed, schools face cuts and the NHS is being privatised.